Dessert fans of Melbourne, there’s a new sweet treat hitting the streets. Picapika Waffles has just opened in Hawthorne, and they’ve given the king of the breakfast buffet a new makeover to prove it really can be waffle time, anytime. 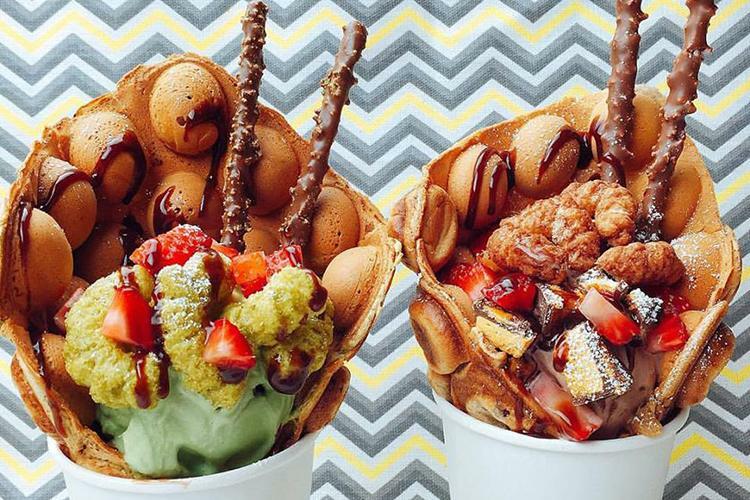 Since opening at the start of September, owners Jonathan and Lumee have been serving up Japanese-inspired waffles and ice-creams – and believe us when we say there’s a waffle lot to get excited about! From cookies and cream to honeycomb to matcha, there are plenty of inventive topping choices to satisfy even the sweetest tooth. And for those who like things a little more traditional, you can also get your golden, fluffy waffles topped with the classic white, milk or dark chocolate. There are even savoury options available – so you can definitely enjoy them for any meal of the day! We sat down to waffle on a bit with Jonathan. Can you tell us a bit about your background and how you got started in the food industry? Food has always been our passion. My wife and I enjoy travelling, especially to sample food. We went on a trip to Japan on our 10th anniversary, and since then, we have returned back to Japan a few times. Our love of Japanese cuisine was the start of our food industry journey, and we enrolled in culinary courses in Japan to learn the art. After returning, I worked in a Japanese restaurant. Then, at the beginning of this year, we decide to embark on our own waffle café. Japanese-inspired egg waffles with ice cream – need we say more? What made you decide to dedicate your business entirely to waffles? We focus on waffles because we find that it’s one of the foods that were most neglected. We saw a gap in the market to offer good waffles, especially glazed ones and savoury ones. There are plenty of donuts out there but no mention of waffles. 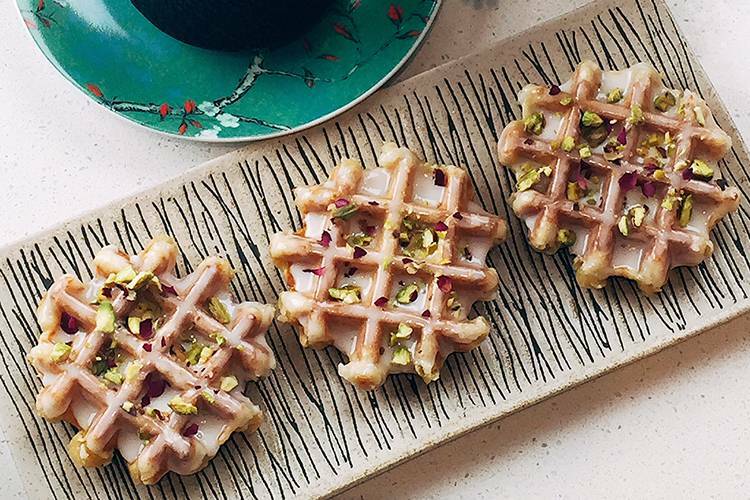 Japanese-infused waffles are a huge trend in Japan and more so in Asia, and we want to bring that to Melbourne! Your waffles come in sweet and savoury varieties. Where do you find inspiration for taste combinations? We did a lot of experiments to find out which ones are well-received. We use imported Japanese matcha and Belgium pearl sugar. The combination of these components, together with local Australian flour and eggs, makes our waffles taste really yummy. We focus on using quality ingredients. What’s your favourite menu item, and why? 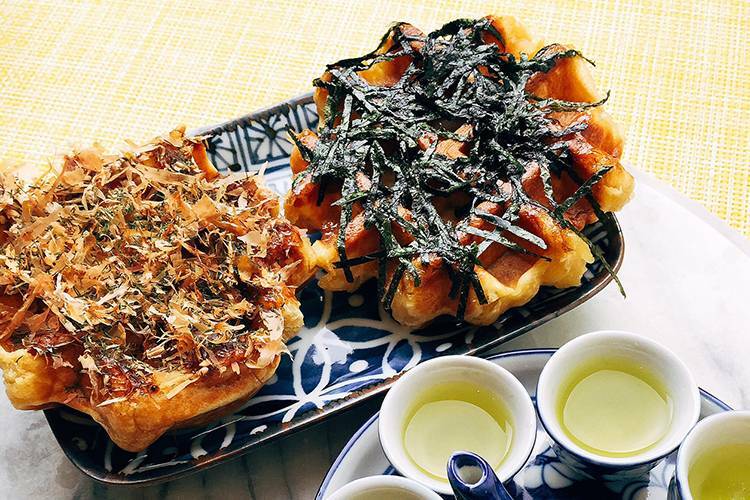 Bonito flakes, seaweed and sesame are our favorite savoury waffles. Caramel, cookies and cream and pistachio rose are very popular sweet waffles. They not only look good but taste great too. Each of them is handcrafted and made onsite every morning. What’s the secret to a perfectly made waffle? A perfectly made waffle needs time. And because it’s dough rather than batter, we need to allow the yeast to rise sufficiently. Quality and fresh ingredients will really bring the flavour out. When you’re in the mood for something non-waffle-related, where do you love to go out to eat in your area? We love Japanese cuisine; usually, we will head down to have ramen – our all time favorite comfort food – especially when the weather is cold. 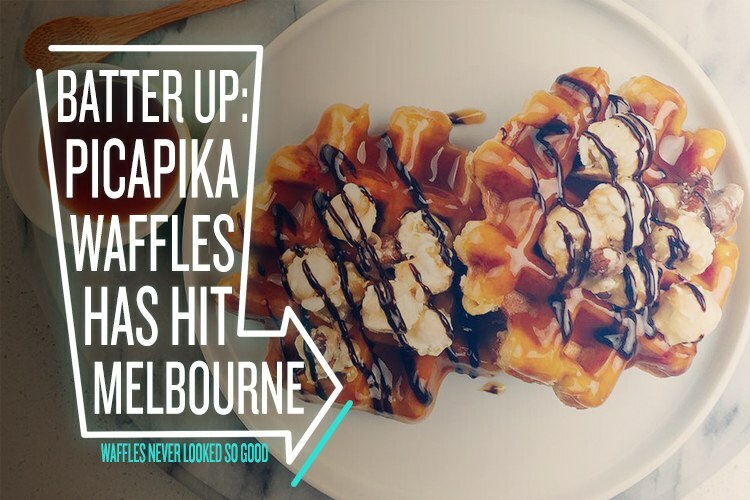 You can find Picapika Waffles at 20A/674 Glenferrie Road, Hawthorn. Check out their Facebook page or follow them on Instagram to stay in the loop.